Statesboro, Georgia's very own Mr. Mince is on fire right now fresh off signing a major label distribution deal with Priority Records. The retired NFL player is continuing to make a name for himself. With each new release, he continues to leave his mark in the entertainment industry, on the road to making history. With the music industry doing really well and seeing growth for the first time in years, the hip-hop superstar could not have picked a better time to drop. 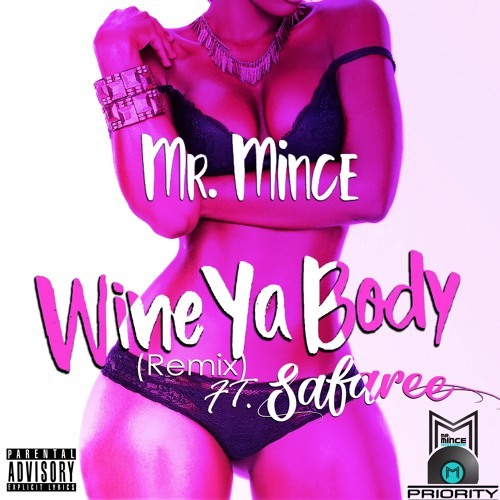 "Wine Ya Body" is a classic Hip-Hop, Reggae, Dancehall, and Caribbean type joint featuring VH1 Love and Hip Hop's very own Safaree Samuels. The track is a real spring break/summer time ready record. Ladies and gentlemen this is for you! Listen to the remix to "Wine Ya Body” out now! "Mr. Mince Productions Inc., The Number 1 indie record label & production company. OVER 43 Million YouTube Views and 80 million SoundCloud Clicks... Fresh New Start!!! MMP is the Future."